All work is skilfully carried out by Robert and Sean Price along with their specialist small workshop team. The team are time served craftsmen, specialising in both modern and antique re-upholstery utilising three generations of traditional upholstery techniques. 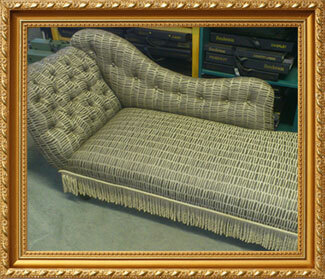 When you love your furniture, but you can’t bear to see the unsightly wear, re-upholstery can be the ideal solution. Sometimes the style and lines of your current furniture become so familiar that you just can’t stand the idea of parting with your comfortable old sofa or chair. In this case, re-upholstery will breathe new life into the tired furniture, making it possible to continue using it for many more years. Remember a lot of todays modern furniture is very poorly mass produced, but yet expensive. An older piece of furniture is well worth saving from the landfill. Reflect your own personal style and tastes, whilst at the same time helping the environment by recycling existing furniture. We can convert chairs into sofas or vice versa sofas into chic corner units. Re-design the look of your furniture by altering the shape and size. Look at our gallery page or facebook page for photos of our quality workmanship. If you have antique furniture that needs some help, upholstery can be an effective method for preserving these pieces. To ensure that you don’t damage or destroy the furniture in the upholstery process. 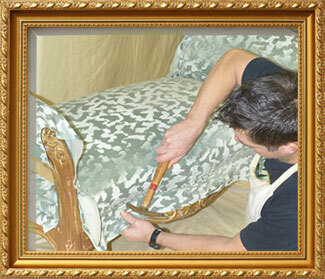 Price Brothers provides a professional service that specialises in re-upholstering antique furniture. Using traditional methods we can revive your treasured antiques. Price Brothers is a reputable family business with a solid 70+ years experience working with antiques. 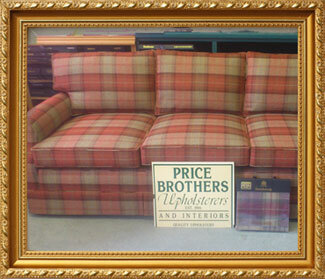 At Price Brothers we believe individuality is worth that little extra. Estimates are given without obligation and we pride ourselves on the quality and unique nature of the service we provide.